Published: March 18, 2019 12:16 Usman Ghafoor, Special to tabloid! Director Wajahat Rauf may have given a solid box office hit with his debut feature, ‘Karachi Se Lahore’ (2016), and, more recently, become the first Pakistani to direct a web series for Eros Now, but he has never had it easy with critics. Variously panned for being unoriginal and repetitive, Rauf is on the receiving end of flak all over again, for his next film, titled ‘Chhalawa’. As the story goes, the makers recently revealed the first look of the film which has leading lady Mehwish Hayat on it. 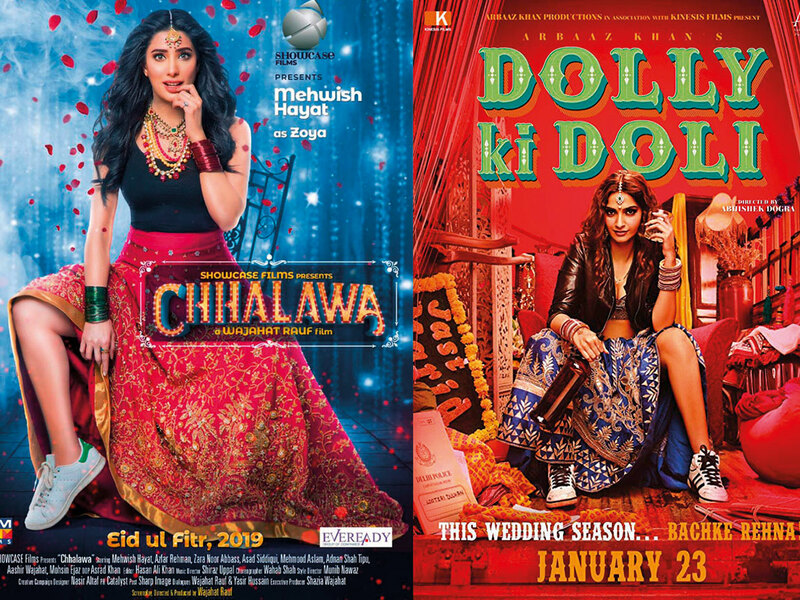 Again, the critics are calling it a copy of the poster of Bollywood actress Sonam Kapoor’s ‘Dolly Ki Doli’. It should be interesting to see if the movie is also a ripoff. ‘Chhalawa’ is being readied for an Eid Al Fitr release.